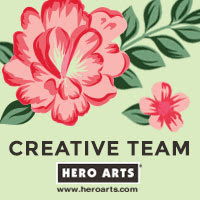 Hello there, today I have a card to share that I made for the DTDF Blog. 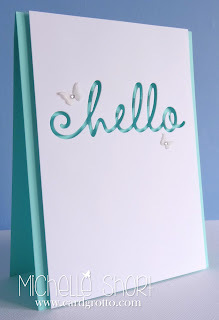 I have used the MFT Happy Hellos dies which I love. I must have picked the hardest one to use for the negative though! The little bits in those letters were very fiddly to pop up on 3D foam! 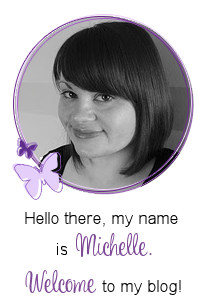 I have also used one my favourite butterfly dies - the Memory Box Butterfly Delights die which is meant to be a border but those butterflies are so cute I like using them on their own. Thank you so much for visiting me today. I really do appreciate it. **EDA: So honoured to say that this card was featured over at MFT Stamps as one of their Favourite Finds. You can see the post HERE. Thank you MFT! Absolutely stunning Michelle. A really effective design. I love the tiny butterflies too. 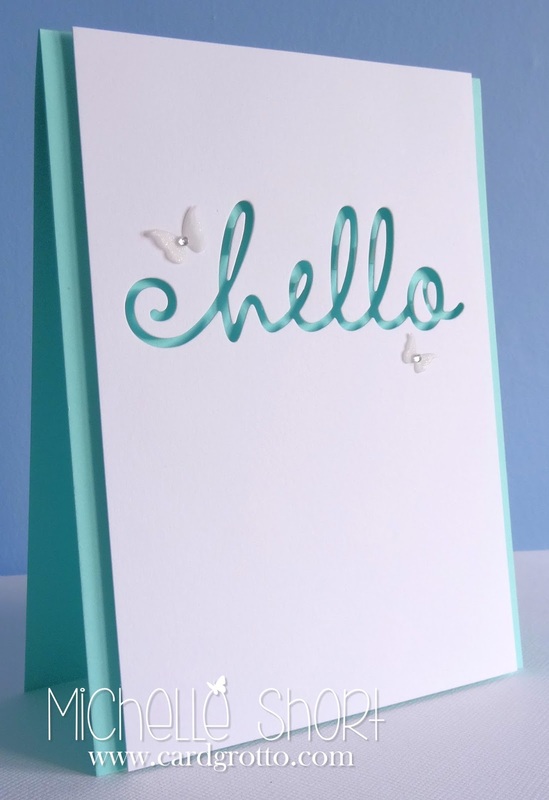 Gorgeous, totally love the clean and simple look of this card! 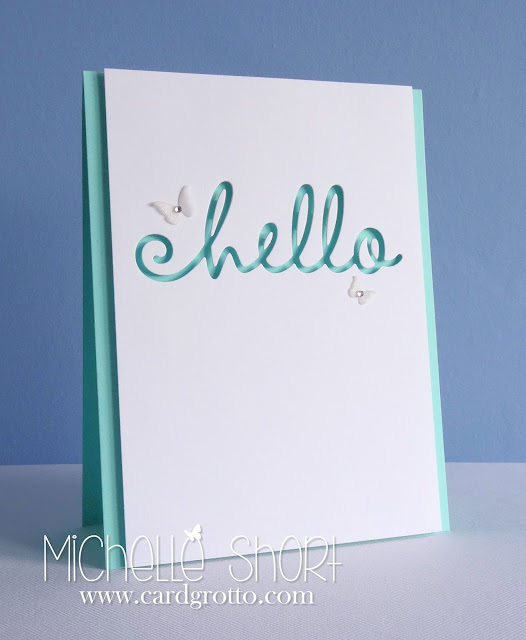 Michelle, your card is so pretty! The butterflies are a beautiful addition. michelle this is stunning and i love the colour!! Your effort with the letters and foam was worth it, this card is perfect! 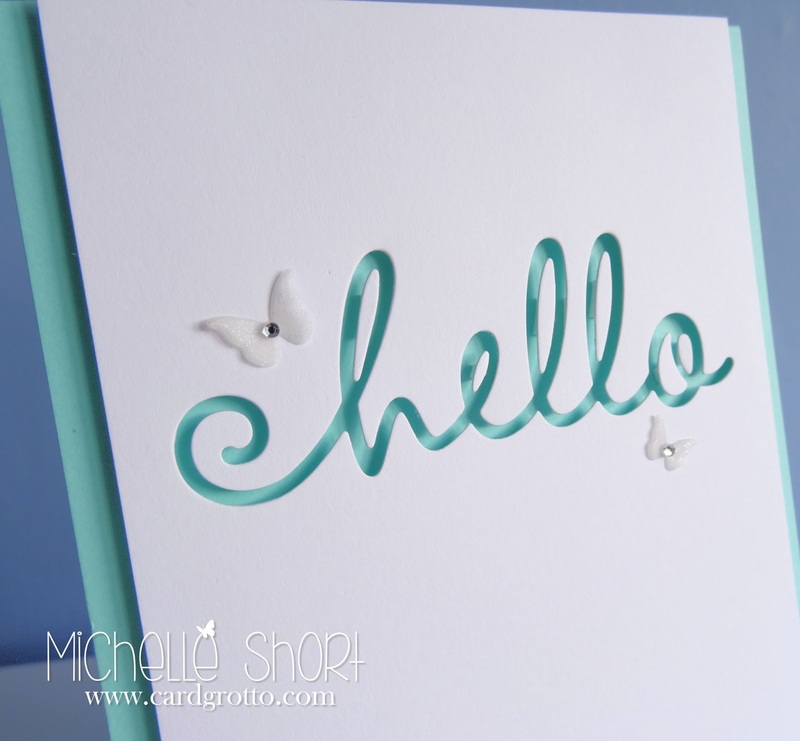 Such a pretty card ... those tiny butterflies are the perfect touch. I think I'd have been tempted to glue them on flat! Gorgeous card, though, so worth the effort. Love the card Michelle. I love this look and it gives the illusion that you have clear stamped on the blue with the shadows cast bt the outline.